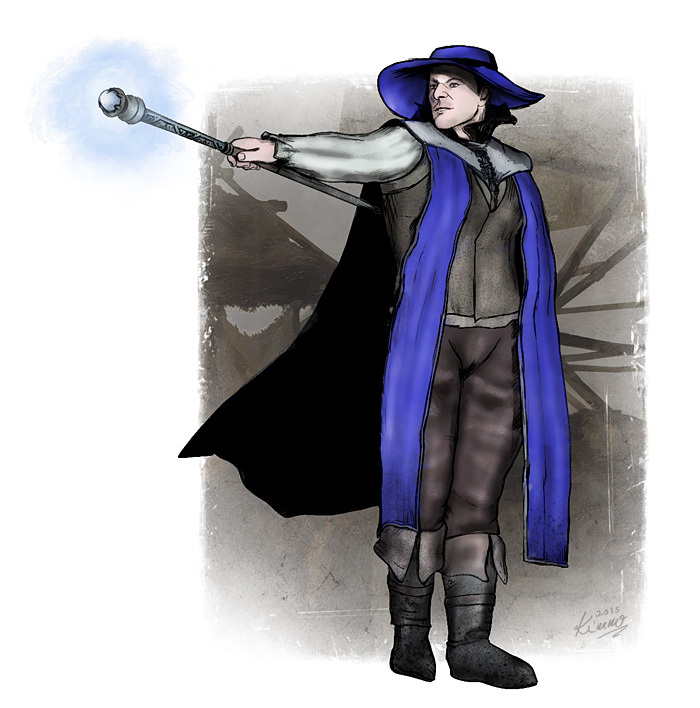 Dano Tavelo is a wizard and a regular passenger of the merchant ship Raimelho based in the port city of Cuervo Garrac in Ferria. Not a sailor but an adventurer he has found it mutually beneficial to travel by sea in exchange of his magical abilities to aid the ship and her crew while at sea. Dano travels to exotic port cities he has not yet seen or has not seen enough. An open-minded and outgoing person he is also a prankster of some fame even though his pranks are never malign or demeaning in nature.